Kimberly Rhode, center, wins the Gold over Diana Bacosi of Italy and Brandy Drozd of the USA. March 26, 2012, in Tuscon, Arizona kicked of the I.S.S.F. season. 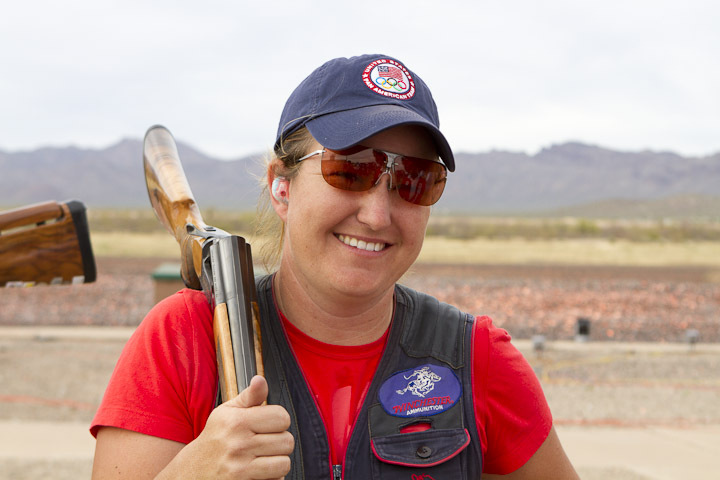 Kim Rhode, already qualified for this summer's London Olympics, is well on her way to becoming the first American athlete in history to medal in an individual event in five consecutive Olympics. Her Tuscon performance was stunning. For starters, set a new World Record breaking all 75 targets in the qualifying round. Previously, Kim had equalled the previous record of 74/75 twice. Elena Little set it (GBR) at the 2005 ISSF Shotgun World Cup in Belgrade. So, a new World Record for Kim along with a tie of the Finals World Record of 99/100. Seven birds back, Diana Bacosi of Italy tied 18-year-old Brandy Drozd of Bryan, Texas. 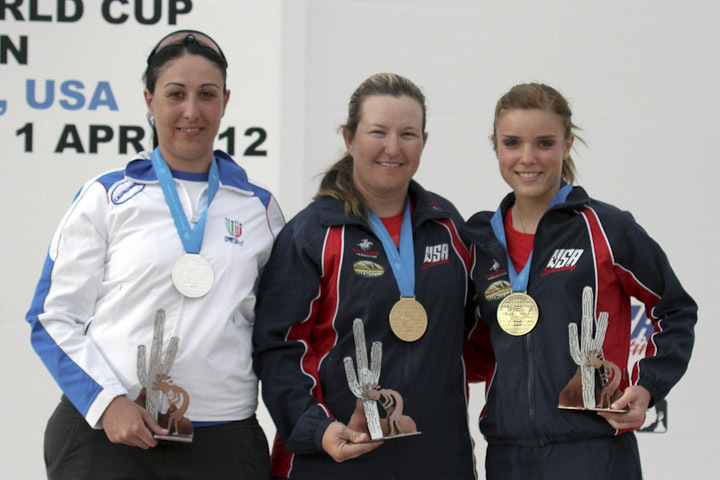 Diana Bacosi won the shoot-off, taking the Silver for Italy. Kim's always happy, but setting a world record and winning the Gold doesn't hurt, either.